Watersound Paradise! 4 Bedrooms, Private Pool, 2019 StarEV SS 6 Seat Golf Cart, Summer Kitchen and more! We invite you to explore our Gulf Coast shoreline and admire the beauty of our 30A beaches and the diverse architecture that defines our vibrant communities. Whatever may bring you here, to unwind or recharge, to connect with your family and friends or if you are looking for that special romantic retreat, we promise a vacation filled with memories that will last a lifetime. 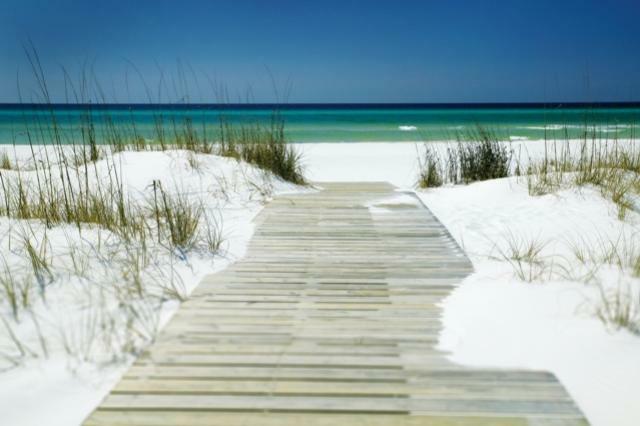 FL Panhandle Beaches Rank Among the Best! Florida’s Gulf Coast is unparalleled in its natural surroundings and year-round recreational amenities. Just imagine all that awaits you as you explore our miles of pristine white sand beaches and the emerald green waters of the Gulf of Mexico. The Destin area was named one of the 10 Most Beautiful Places in America, by ABC-TV’s Good Morning America. Each of our unique coastal communities has their own distinct personality so no matter what you are looking for in a Florida vacation, you’ll find it here. The nostalgic and scenic beach town of Miramar Beach stretches along a wide scenic boulevard with panoramic views of the Gulf of Mexico. Miramar Beach is a hub of activity. Stroll the streets lined with colorful shops and eclectic eateries or head to the coastline with endless activities along miles of white sands, turquoise waters and the peaceful soothing sounds of the lapping ocean. The warm ocean waters are inviting. Spend hours indulging in fun water activities, jet-skiing, paddle boarding, kayaking, exceptional deep-sea fishing or simply taking a dip. Take a sunset cruise or a dolphin cruise with endless views as the sun sets into the horizon. Miramar Beach is not only a beach town, but there are also state parks and beautiful preserves to explore, many scenic championship golf courses to challenge your game, museums, galleries and impressive artists’ colonies showcasing the creative works of crafters, sculptors, and painters. End your day sampling fresh seafood at a waterfront restaurant with live music as the sun goes down on a fun-filled day of activities. Have you ever seen sand dunes on a beach? Henderson Beach State Park boasts 30-foot, snow white sand dunes on the shoreline! This strip of the Emerald Coast is the last remaining coastal scrub area in Destin. It was established for the preservation and protection of the area’s natural features and public enjoyment. The park is popular for Florida beach weddings, wildlife viewing, and fishing. Head to the Florida State Parks website for hours of operation, fees, and more information. In the first ever Best Beaches survey of Travel + Leisure magazine, readers voted Seaside the Best Beach on Earth for Families. This 30A neighborhood is known for its energetic, artistic and youthful energy. Whether you want to sit back and relax on the beach or check out local art, Seaside has something for all ages. Be sure to stop at one of many funky airstream trailers for a hot dog or shaved ice before heading to the sugar-white sand! Okaloosa Island is a thin three-mile island between Fort Walton Beach and Destin, Florida. Also known as Santa Rosa Island, Okaloosa Island was acquired in 1950 by U.S. Representative Robert F. Sikes. This island is lined with white sand beaches and is home to many different wildlife species. The Okaloosa Island fishing pier is popular among anglers for tarpon, tuna and mackerel fishing. Not into fishing? The pier is also great for a scenic walk and views of the boardwalk! 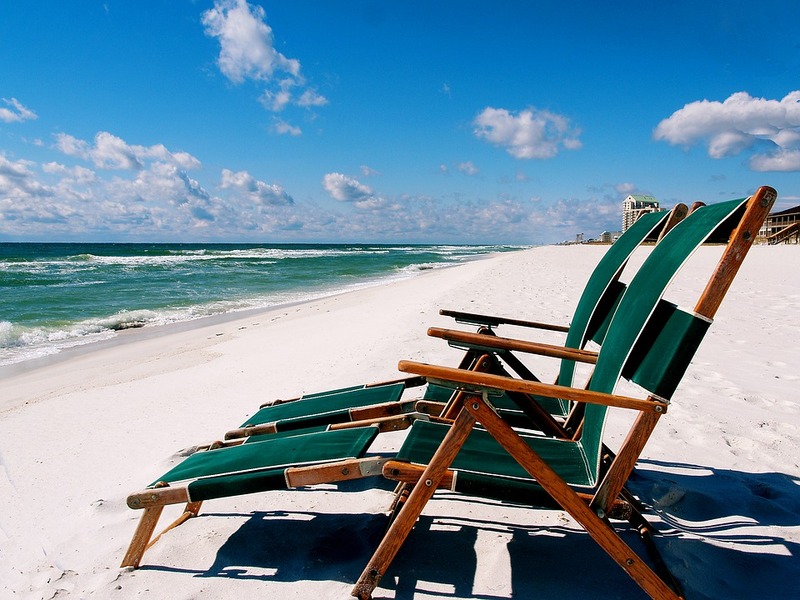 Visit Okaloosa Island for a laid-back and relaxing Florida vacation. Any local will tell you that the best way to enjoy the natural beauty of Florida’s Gulf Coast is to hop on a beach cruiser and soak it all in. Along the E. County 30A roadway, you’ll discover 19 miles of paved bike path that passes through all of the famous beach communities nestled along the scenic road and crosses over the rare coastal dune lakes that only occur in a handful of locations around the globe. Northwest Florida’s Emerald Coast will captivate your entire group with its picturesque location and countless beaches and activities. Feeling at home is effortless here, with charming vacation accommodations to suit every taste and price point. Stay in a luxury suite condominium, a villa, or private home with views of golf courses, coastal dune lakes, or just steps from the famous and dazzling sugar-white beach. Contact us today or book online for an affordable luxury vacation condo or home. We look forward to meeting you!